I'm not sure about you, but when I see a wireless earbud set connected with a rope/cable/cord/something, I don't immediately grab my scissors and start cutting it to make the whole thing completely wireless. Just like when I see a set of wired earphones I don't cut the cord and hope that'd make them work over Bluetooth. It's common sense. 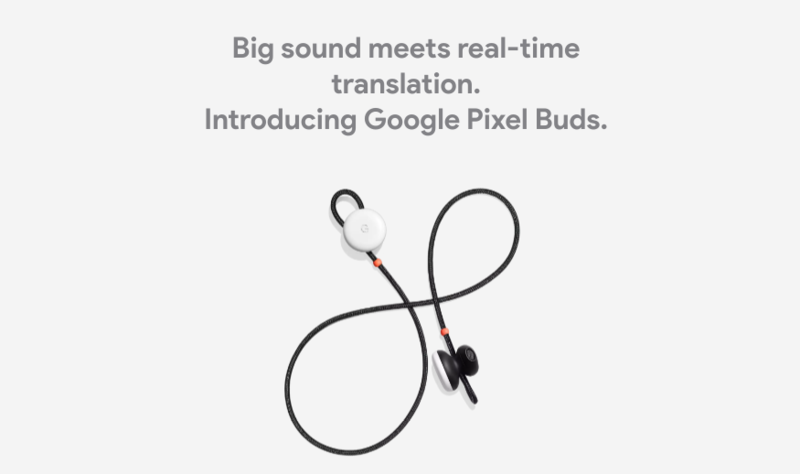 But maybe the trend toward completely wireless buds has become common enough that people could assume things about the new Pixel Buds. Things that aren't true like the fact that the cord between them is completely optional: maybe it's just for decoration, or Google doesn't want you to lose one, or to avoid you looking like a dork with things pointing out of your ears, or to stop freaking people out when they see someone with long hair talk to themselves... I don't know. Facepalm. Humanity, you disappoint me every day.